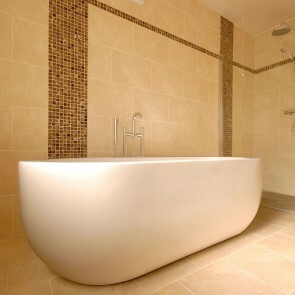 This is one of the vast number of Bathroom Tiling projects we have successfully completed. 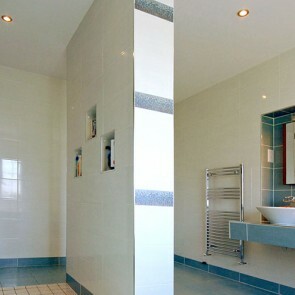 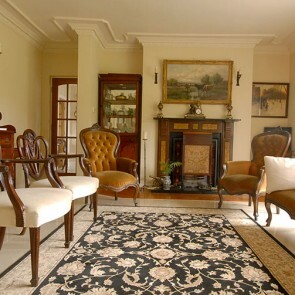 The following have glazed finished wall tiles, with matt and satin finish tiles on the floor. 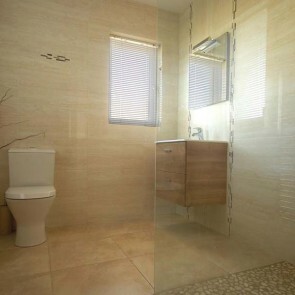 We have also used pebbles in the floor of the wet area.